For safe and effective teeth whitening in Marietta, Georgia, trust the professionals at Mansouri Family Dental Care & Associates. We are a comprehensive dental practice offering a full range of cosmetic dental services, including teeth whitening. Our dentists utilize the latest in advanced tooth whitening technology to help our patients achieve bright, beautiful, long-lasting smiles. 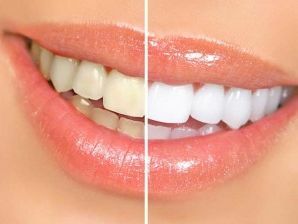 We offer both in office and at home tooth-whitening solutions at competitive prices. If you are interested in improving the appearance of your smile, call Mansouri Family Dental Care & Associates and schedule an appointment with one of our talented cosmetic dentists. If you live in Marietta, GA and are looking for a dental practice that offers teeth bleaching and other cosmetic dental services, call Mansouri Family Dental Care & Associates. Tooth whitening is the most requested and performed cosmetic dental procedure and can be used to lighten teeth and remove stains and discoloration. The result is a healthy, attractive, younger looking smile. In addition to a dental cleaning, we offer a whitening treatment that can be completed in our dental office in a little over an hour. We also offer custom trays that can be used at home with a gel-like whitening solution. If you are interested in bleaching your teeth, one of our dentists can sit down with you, discuss the two different options, and help you determine which method best suits your lifestyle as well as your budget. For a premier teeth whitening dentist you can trust to help you safely and effectively achieve a brighter smile, contact our Marietta Teeth Whitening Professionals at Mansouri Family Dental Care & Associates. Our practice is currently accepting new patients and we would welcome the opportunity to care for you or a member of your family. We thank you for allowing us to take care of your dental needs and we look forward to exceeding your expectations.